We’re thoroughly excited to showcase and champion the superb work of Lancashire based artist, Ian Norris in our new London showroom. 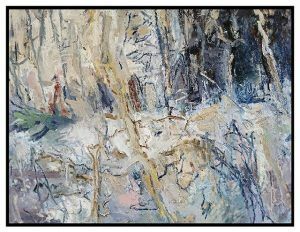 The local artist likes to deal with local materials which he is familiar with, exploring the figures and landscapes as subjects and usually works on the same motifs over long periods of time. His process starts with numerous drawings and paintings from his observations and back at the studio is where he paints larger works from memory using the smaller studies as reference. 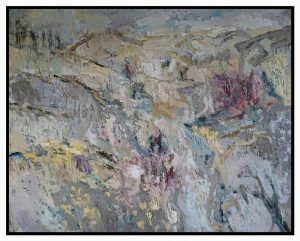 Ian expresses his feelings by being present in a particular place, and not just by the visual aspects of the landscapes. Having his studio close to our Lancashire workshops allowed us to stumble across his fantastic artwork and subsequently led to us showcasing in our London showroom. We’re proud to support the local artist who works on an international and national basis, exhibiting at the Royal Academy with a growing reputation for expressive landscapes and seascapes inspired by the north west of England’s coastline. We currently have two Ian Norris Canvas paintings available to be purchased today. Please get in touch if you wish to enquire about any of these pieces of art, simply call 0207 730 6442 or email jessica@theoddchaircompany.com. Finished Size including frame, W127cm, H99cm. RRP, £3,250. Finished Size including frame, W156cm, H124cm. RRP, £6,425. ‘A true northern talent, Ian’s ability is to convey, through paint, how it was to stand by the land or sea; be battered, at times, by the elements. Ian paints in the open, it’s the only way he knows. He doesn’t work from photographs back in the studio, he stands with canvas and easel on the fell-side, beach or cliff tops and paints. It’s a combination of that uncompromising approach and his natural ability that produce astonishing work, often almost sculptural in his use of paint. Ian attended Blackburn Collage of Art, obtaining a First Class Honours degree in Fine Art. 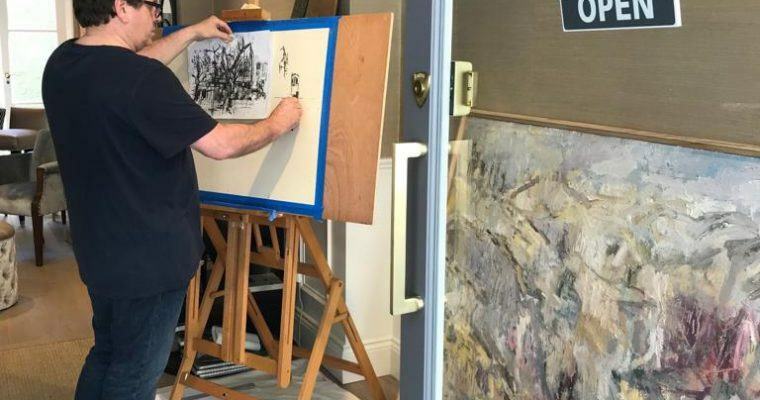 Elected as a member of the Manchester Academy of Fine Arts (MAFA) in 2010, Ian went on to win the Dr Barbara Oldham award at the MAFA Summer Exhibition in 2011. Stay up to date with our exciting new collections by following us on our Instagram and Twitter accounts. Copyright © 2019 The Odd Chair Company.